We’ve all heard about the middle of the road donkey that could not make up its mind. Flip the axis and we are now talking about traffic lanes. 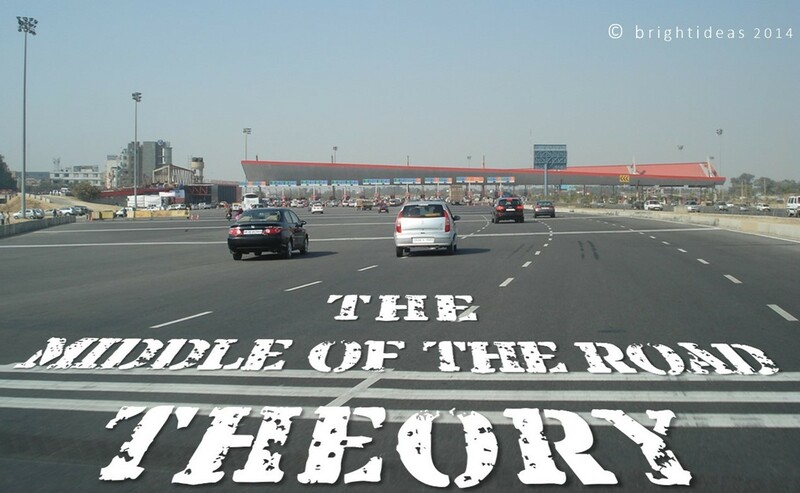 This theory proposes that driving in the middle of road or the middle lane is beneficial. Let me explain why. Funny yes; silly, not really. The corporate world is replete with examples that support my theory be it the makers of the compact disc player not seeing it through or the inventors of the laser engine not pursuing the idea further. So as the wise men say “Persistence Pays” only thing.. others not persisting pays even better!!! Food for thought eh?